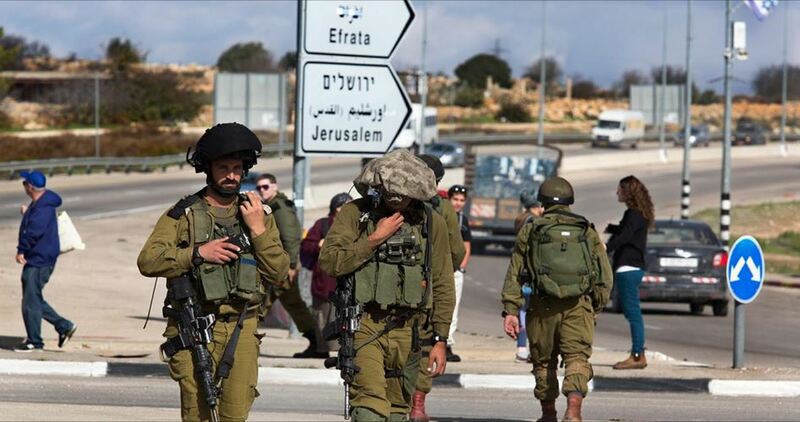 The Israeli occupation forces (IOF) at dawn Saturday launched a large-scale operation in Tulkarem in search for the Palestinian Ashraf Na’alweh. Local sources told the PIC reporter that dozens of IOF soldiers stormed Anabta town in Tulkarem and raided some Palestinian houses. The sources said that violent clashes flared up in the area during which the IOF heavily fired teargas canisters. The IOF arrested the Palestinian citizen Mutaz Sharaqa after raiding his house in Anabta, and searched other houses near al-Wad area. The IOF further raided the neighboring town of Kafr al-Labad while Israeli warplanes were hovering in the sky. Meanwhile, violent clashes broke out in Azzun town, east of Qalqilya, between the IOF who stormed the town at daybreak and dozens of Palestinian youths. The IOF, at the same time in Qalqilya city, arrested the Palestinian youths Omar Harb and Obaida Shana’a at the northern entrance to the city.